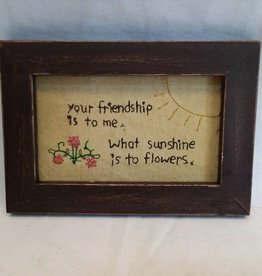 Stitcheries are signs made with a needle and thread! Some common stitcheries are samplers. 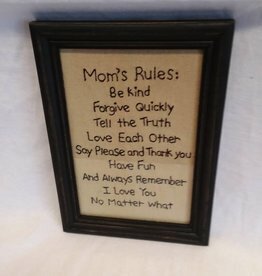 Nowadays, stitcheries are used for displaying a message in a decorative way. All stitcheries are framed (with glass face). 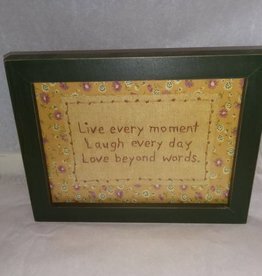 Stitchery: Live every moment Laugh every day Love beyond words. 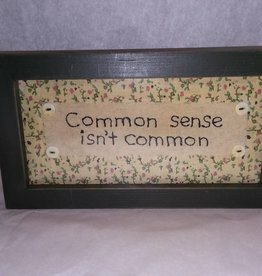 8 3/8" x 6 1/2"
Common sense isn't common stitchery. 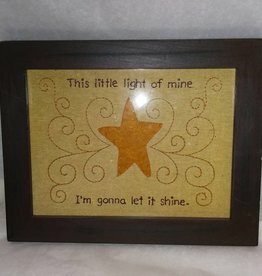 9.5" x 5.25"
This little light of mine I'm gonna let it shine stitchery. 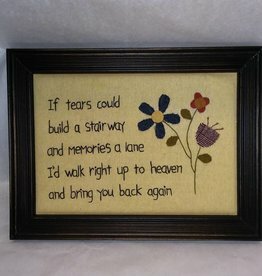 9.5" x 7.5"
Memories stitchery: If tears could build a stairway and memories a lane I'd walk right up to heaven and bring you back again. 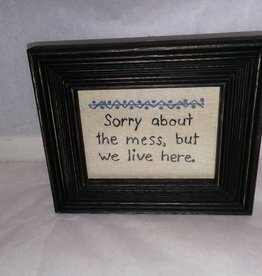 11 3/4" x 9"
Sorry about the mess, but we live here stitchery. 6.25" x 5.25"
A father-daughter owned shop located in Dryden, New York! 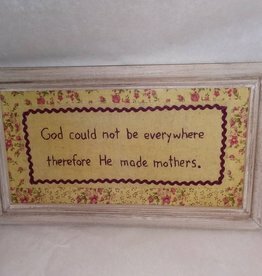 Featuring Farmhouse, Country and Prim-Country home decor and gifts AND a wide selection of unique and affordable antiques and collectibles!